Photo courtesy Ball State Unidersity. MUNCIE, Ind. — Rising gas prices over the coming decade may make public transportation significantly more attractive to Hoosiers, say three new reports from Ball State University. In fact, ridership could more than double by 2035, meaning the customer base would expand well beyond the current “typical” users who are low-income residents who are most dependent on Indiana’s current 66 fixed-route public transportation systems. 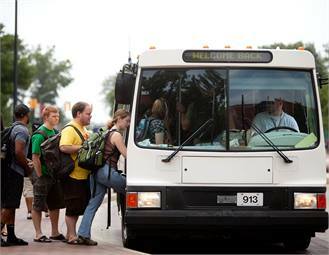 Ball State’s Center for Business and Economic Research (CBER) found that almost 70% fixed-route bus riders are dependent on buses because they do not have access to a vehicle. CBER also discovered that a 10% increase in gas prices over several years will increase bus ridership by 3.4% while a sudden 10% spike in gas prices is associated with a 1.15% increase in bus ridership in Indiana. “Public Transportation in Indiana: An Analysis of Ridership Surveys,” “The Effect of Gasoline Prices on Public Bus Ridership in Indiana” and “Fixed Route and Demand-Response Systems: Funding Methods, Benefits and Costs in Indiana” were produced by CBER for the Indiana Transportation Association. The studies may be found at http://cms.bsu.edu/academics/centersandinstitutes/bbr/currentstudiesandpublications. The studies examine options for public transit, methods of funding and the impact of fixed-route bus transit in Indiana. In addition to Hicks, the research team included Dagney Faulk, CBER research director; and Kevin Kroll, a Ball State graduate assistant specializing in geographic information and CBER regional analysis. Research indicated that the typical fixed-route bus rider in Indiana is a 19- to 34-year-old woman making less than $15,000 a year. She is likely to not own a car and to use the bus about five times per week for either school or work. • Among survey respondents, 49% of riders had an annual household income below $15,000 while 9.6% of respondents’ households have an annual income exceeding $50,000. 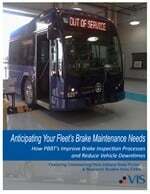 • A third of transit riders use the bus system more than five days per week. • Sixty percent of transit users described the primary purpose of their trip as getting to work or school. • Indiana’s public transit systems provided about 35.2 million passenger trips and logged about 46.6 million vehicle miles. • Survey responses indicate high levels of satisfaction with public transit among users. Ball State’s research clearly indicates that public transportation is valuable to Indiana’s economy, said Kent McDaniel, executive director of the Indiana Transportation Association. “These reports clearly illustrate that the benefits of public, fixed-route transit systems outweigh the costs for both taxpayers as a whole and those who ride the transit system,” he said.